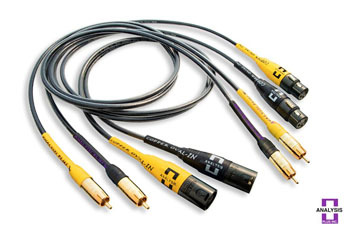 Analysis Plus is a measurement and performance driven cable manufacturer. Their hollow oval geometry cables measure and sound better than round cables. 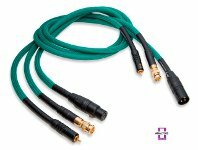 Their speaker cables are the best you can get for the money: very neutral, almost like no cable at all. The Black Mesh Oval 9 and Black Oval 12 are the most current versions of these advanced cable designs, and at $699 and $245 respectively for an 8 foot pair, are impossible to beat. 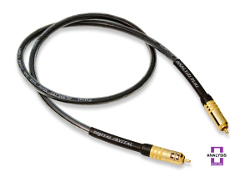 Both are also available as a true double biwire cable. The Big Silver Oval is their latest silver cable. 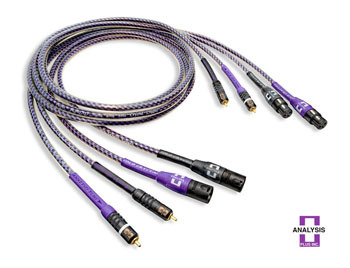 Neil Gader of The Absolute Sound says, "The Analysis Plus Big Silver Oval is the kind of wire that touches all the areas that matter to me...I’ve never heard a better cable near this price. " The BSO is a wire that gets out of the way. The Silver Oval has long been a favorite of ours, and the Big Silver Oval is even better. And now there is the new Silver Oval 2, with small but noticeable improvements over the Silver Oval. 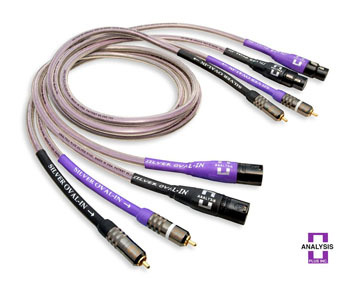 Analysis Plus silver cables are smooth, clean, detailed and open: never bright or analytical. Both are also available as double biwire cables. 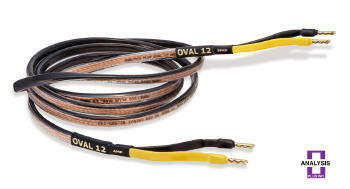 The Solo Crystal Oval 8 is a reference copper speaker cable and will allow your system to sound its very best. $2217 retail for an 8 foot pair. Call for our current special. The Clear Oval and the new Blue Oval are great budget speaker cables that don't sound like budget cables. Analysis Plus makes great interconnects too. The Silver Oval-In matches the Silver Oval speaker cable with the best that silver can give you: pure, grain free sound. The Solo Crystal Oval is an excellent copper interconnect, and the Copper Oval-In is almost as good. The Oval One is as good as it gets for under $100. And the Sub Oval is a great cable for your sub. Need a digital cable? Look no further than the new Green Digital Oval, a reference coaxial digital cable, replacing the Digital Oval reviewed by Sam Tellig in the October 2008 Stereophile: "I heard more silence...I heard improved dynamics, more low-level detail. I experienced a greater sense of listening ease...The Analysis Plus Digital Oval becomes my reference digital cable." The Green Digital Oval is even better! And the new Digital Crystal is the best! Analysis Plus has three Power Cords: the Power Oval 2, the Power Oval Ten, and the Power Oval 14. All excellent and great values. 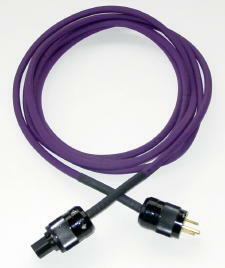 The new Purple Plus USB is a good upgrade for a generic USB cable. Avaiable in 1.0, 1.5 and 2.0 meters. 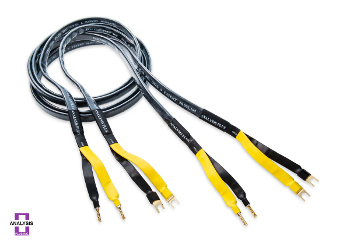 For cables that simply get out of the way try Analysis Plus. with resolution and dynamic life." "a breathtaking level of micro-dynamic nuance...very low noise-floor"